Fig. 1. 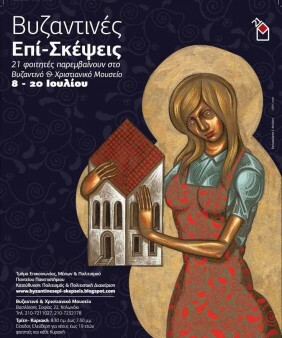 Poster of the exhibition «Βυζαντινές επί-σκέψεις. 21 φοιτητές παρεμβαίνουν στο Βυζαντινό Μουσείο» (Byzantine Visits. 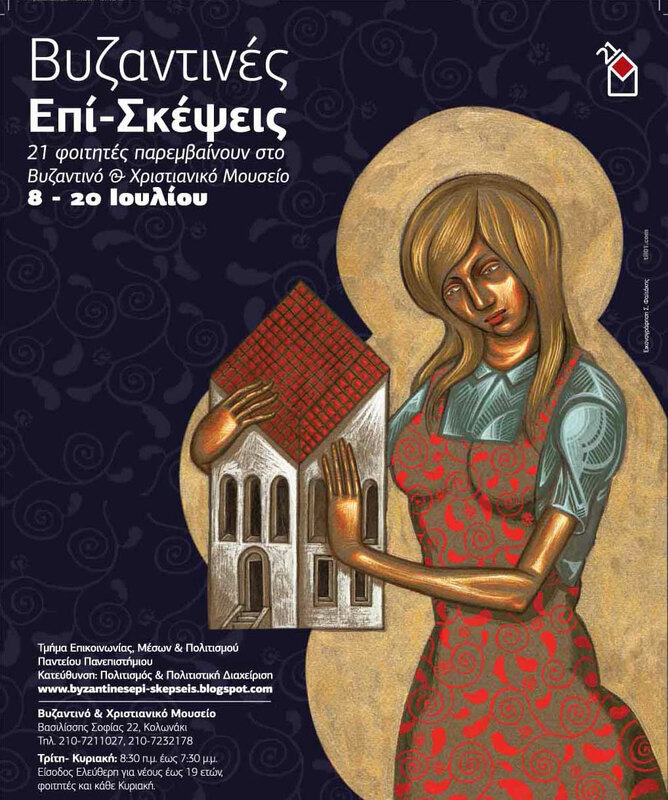 21 students intervene in the Byzantine Museum). Designed for free by the artist Stelios Faitakis. The organizing of exhibitions by students is a frequent practice, incorporated in the teaching experience as an organic part of the curriculum of several universities, mainly in countries with a long tradition of museum studies such as the United Kingdom, the United States and Canada. These exhibitions are organized in collaboration with a local museum or gallery which provides the expertise and considerable material and technical support while their funding is included in the budget of every curriculum. 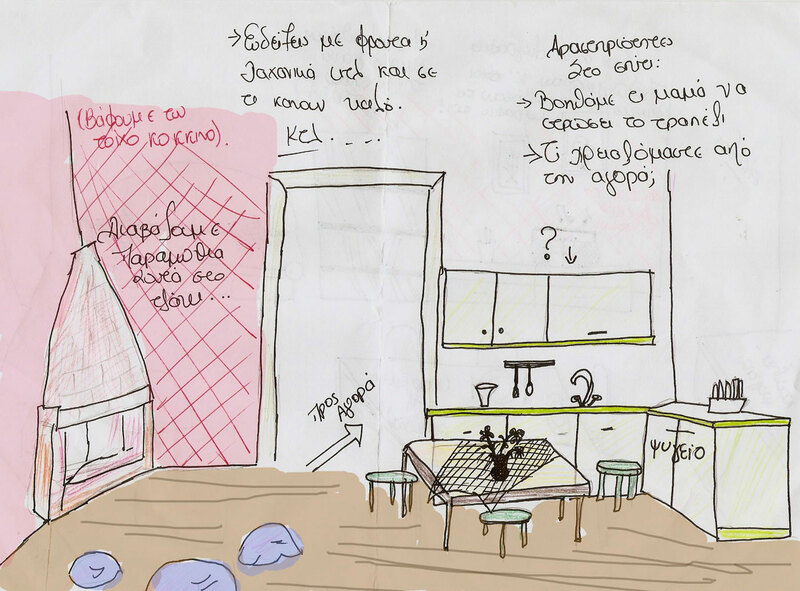 It is also quite usual to organize student exhibitions in university museums which are both places in an institution where students can apply themselves and areas for the osmosis between theory and practice (note 1). In these cases the organizing of student exhibitions is incorporated into a broader concept of the university museum as a “third space”. The latter is unlike most museums which hesitate when faced with alternative narratives and prefer to move within controlled frameworks and also unlike alternative spaces which invest by risking a different approach but which have an ephemeral character. The “third space” of the university museum, protected by the freedom provided by an academic environment, can support exhibitions that raise doubts and often subvert traditional interpretations or narratives (Marstine 2007, p. 305). Most of these activities concern postgraduate syllabi for museum studies as well as other subjects. Exhibitions organized in the context of undergraduate syllabi are rarer (see for example Marstine 2007, Lubar 2009). However, this has been changing over the last few years as it becomes increasingly clear that the students are already acquiring fruitful experience during their undergraduate studies by becoming familiar with methods and practical applications in the field. 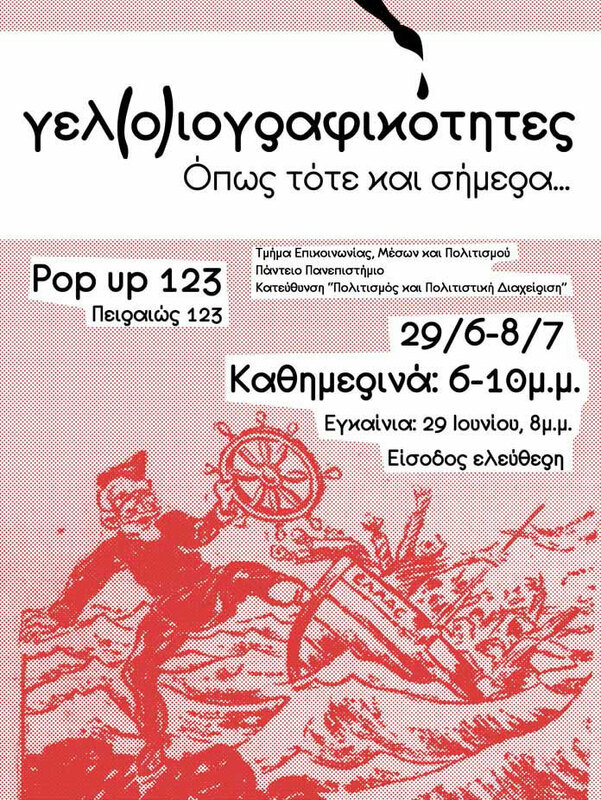 The following text presents certain examples of such student exhibitions in Greece which are placed in the context of a more general philosophy adopted by the Department of Communications, Media and Culture of the Panteion University for the education of those studying “Culture and Cultural Management”. The workshop course “Designing and Organizing Exhibitions” is one of a total of eight individual workshops that make up the Department’s “Workshop of Culture and Cultural Management”. Their aim is to familiarize the students with the guidelines and priorities of the work in a broad field that concerns the arts, cultural heritage and cultural industries. At the same time, the students familiarize themselves with the process of organizing events and fundraising, with issues of cultural communication and cultural news broadcasts as well as potentially benefiting from new technologies in the management of culture. Most of the individual workshops result in the organizing of an actual work (musical event, exhibition, film festival, video production et al) realized entirely by the students which gives them the unique possibility to practice in professional circumstances and to transform theory into practice. Specifically, the laboratory course “Designing and Organizing Exhibitions” taught by the author during the 8th semester, is completed every year with an exhibition being organized in a museum or some other place of culture. The aim of this team work is both to familiarize the students with the overall knowledge that is necessary during the process of studying, designing and organizing an exhibition and to also supply them with specific useful skills for their subsequent career. It further aims to cultivate skills in research, collaboration and team work among the students and to reinforce their faith in their strength through the design and step by step implementation of a real project. The workshop lasts an academic semester (approximately four months) and consists of a very intensive combination of theoretical information and practice. It is divided into the following four parts: theory, research, study and design, implementation. The first part is an introduction to the theory and practice of exhibitions in modern museums internationally and includes the students’ familiarization with classic texts on museology but also with applied examples. It is completed by visits to exhibitions in museums or other cultural organizations in Athens. The second part concerns research on the topic of each exhibition. All students go through this stage since one of the workshop’s basic objectives is to supply them with knowledge on how research, mainly in the archives, is carried out. At the same time students are given the unique opportunity to enter museums, archives, libraries and other relevant organizations (note 2) and to familiarize themselves, amongst other things, with the procedures of archiving, cataloguing and handling of every type of document. To make the work easier, each time someone is put in charge of the collecting and classifying of all the material (bibliography, photographs, archives etc). The groups involved in the implementation stage are mainly those that have taken on the production side (texts, videos and digital media, processing of graphic material, display surfaces etc) and the setting up of the exhibition. Included, at this point, are the procedures for the lending of artefacts (note 4), which go through the usual museological requirements for their insurance and transport (note 5). The groups meet outside their scheduled class hours (at Panteion, the exhibition area or elsewhere) and present the work in progress, solve any issues that might come up, make an evaluation and determine the objectives of their next meeting. 1. “Byzantine visits” («Βυζαντινές επί- σκέψεις», the title’s first word in brackets is Byzantine, and the second is a word play on επι–σκεψεις, meaning either visits or thoughts on), 21 students intervene in the Byzantine Museum (Byzantine and Christian Museum of Athens, June-July 2008). 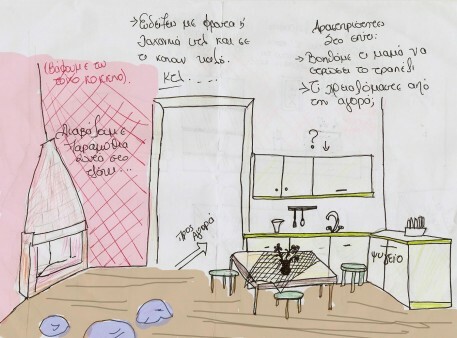 The exhibition wished to be “another look” at the Museum’s permanent collection attempting alternative ways of displaying artefacts or filling in some gaps located by the student group in the museum’s narrative (Gazi 2009) (fig. 1). 2. “Mr Schliemann is not here” (Numismatic Museum, July-August 2009). The exhibition’s aim was to probe for “traces” of the Schliemann family in the building, to create an illusion of their presence through artefacts on display that functioned as suggestive links with the past. At the same time, another objective was to shed light on bourgeois life in Athens at the end of the 19th century (Gazi 2011) (fig. 2 ). 3. “The Market place” (Children’s Museum, 2011). The objective was to upgrade the museum’s popular, permanent exhibit “The Market place” for it to become more functional by creating a warm, friendly environment accessible to children mainly between the ages of 6 and 9 (fig. 3). 4. “I invite you to the stage. Transformations of the ancient theatre from the 6th c BC to the 21st c AD” (Athinais theatre, June 2010) (note 7). The exhibition’s aim was to give rise to reflection on issues regarding the perception of ancient drama today through the good use of archive material and original methods of presentation (fig. 4). 5. “Cartoons. Then as now” («Γελο(ι)ογραφικότητες. 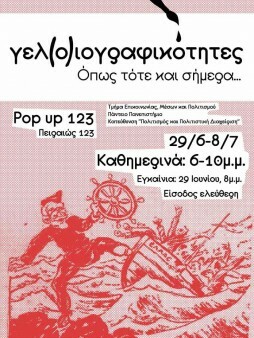 Όπως τότε και σήμερα»: the Greek title puns with the word used for cartoon implying laughter and the ridiculous) (POPup 123, July 2012). The exhibition wished to narrate the multidimensional –and almost completely unknown– history of the Panteion, to begin a dialogue between the old students and those of today and to explore the importance of this university for various sides involved (teachers, students, businessmen/women, neighbourhood residents, etc) (fig. 6). The common denominator of all the exhibitions is the adopting of a holistic model of communication so as to activate as many of the visitors’ senses as possible. For this purpose many interpretative means are used (printed material, videos, sound, 3d scale models, comics, architectural drawings etc) and interactivity is aimed at. 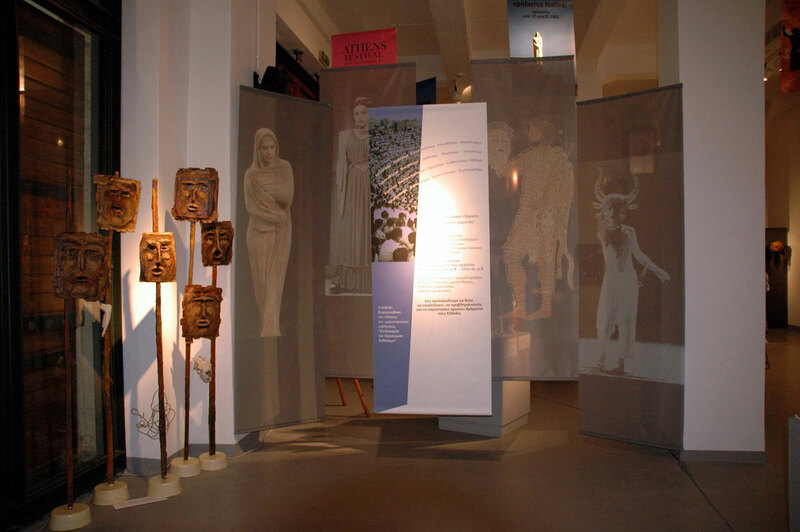 By combining traditional static means with digital ones of today, but also with both interactive or tactile exhibits that allow a person’s participation (note 9), the exhibitions attempt the public’s complete mental and sensory involvement for the development of reflection and dialogue on each topic. Only two out of a total of six exhibitions were fortunate to at least have minimal funding from the University. In the other cases, huge amounts of time consuming and exhausting efforts were made to secure sponsorships in kind (e.g. printing) or in the offer of voluntary work (e.g. architectural advice, the design of comics, graphics treatment), while the need to find ready cash led, over the last years, to the adopting of other methods such as crowdfunding and the organizing of bazaars and small concerts. The promotion and publicity given to the exhibitions by the mass media includes entries in the printed and electronic press, announcements over the radio, interviews on radio and in magazines, the setting up of blogs and an electronic site for the exhibition and creating a group on Facebook. Important printed matter and electronic media are used as sponsors. “The design and realization of the exhibition was for us […] a unique educational process and an invaluable experience. Our collaboration with valued professionals and specialists in the field, our personal labour […] the striving for a collective work, the practical difficulties and the incalculable obstacles, the enjoyment of the completed work and the emotional moment of its ending are, very briefly, what we are proud and satisfied with”. “The process of setting up the exhibition […] was one of the very few opportunities to experience in practice the difficulty but also the beauty of collaborating with many people for a common cause, to test our strengths, to learn[…] and lastly to realize what an enormous amount of work and patience are needed to create a cultural event from scratch”. These young people are the future professionals that will work in the area of culture and will be invited to take part in similar organizations. Furthermore, they constitute the future executives of multiple cultural bodies and foundations, an element that underlies the educational approach of most respective ventures internationally (see also, Blanco 2010). Here it is worth noting that out of a total of approximately 100 students who have participated in the workshop’s exhibitions between 2008 and 2013, almost one third has gone on to postgraduate museum studies, exhibition curating and practices in the wider field of cultural management and some of them have already shown extremely remarkable samples of professional work. Instead of an epilogue, I will quote the words of a female student that also capture something that was not expressed in this article up till now; the positive way such initiatives can work in upgrading the image of the state universities in our country. 1. The advantage of the university museums, as argued by King and Marstine (2006, p.267) lies in the fact that these are located inside academic institutions that also encourage-at least theoretically-the questioning of the authority of the value system, while offering possibilities, at the same time of in depth research. 2. The following references are indicative: The Schliemann Archive kept in the Gennadius Library, the Archive of the National Historical Museum, the Hellenic Parliament Archive, the Archive – Museum of the Greek State Radio and Television, the Archive of the Journalists’ Union of Athens Daily Newspapers, the National Library of Greece, the Greek Literary and Historical Archive, the Photography Archive of the Benaki Museum, the General State Archives, the Archives of the Venizelos Foundation, the Archives of the National Theatre, the Art Theatre of Karolos Koun, the State Theatre of Northern Greece etc. 3. Each group writes the texts accompanying the topic it has selected. The overall editing is usually done by the curators always with guidance from this teacher. In some cases, however, the editing of the texts was undertaken separately. 4. The following references are indicative: Centre for the Study of Modern Pottery- C. Psaropoulos Family Foundation, Games Collection and Childhood Department of the Benaki Museum, Archive of the “Sotiria” hospital, the Historical and Folk Museum of Acharnes et al. 5. In these cases the cost was covered by the University. There were, however, cases of unofficial loans based on the good faith of both parties involved. 6. The idea of the active participation of a group made up of the public in creating an exhibition is not, of course, new and is realized in different forms in museums round the world. What is not usual, however, is the intervention of a student group in a permanent exhibition in museums such as the Byzantine and the Numismatic both known nationwide. 7. Organized in the context of an International Conference under the auspices of UNESCO with the topic “The Theatrical Mediterranean: Spaces, Plays, Traditions”. 8. The exhibition’s great success led to the decision of the Governing Body of the Panteion University to establish a museum of this university’s history in halls of the main building. 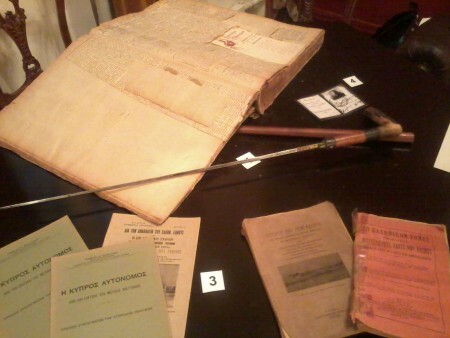 The museum bearing the name “Georgios Frangoudis” in honour of the founder of the School of Political and Social Sciences, was officially opened on June 30th 2014. 9. For example, hidden information discovered by the visitor of his/her own accord, a puzzle that he/she must make in order to gain information etc. Blanco J., 2010, Fashion at the museum: successful experiences with student curators, Museum Management and Curatorship 25/2, pp. 199-217. Γκαζή Α., 2009, Τι θα αλλάζατε σε ένα μουσείο; Η έκθεση ‘Βυζαντινές Επί-Σκέψεις. 21 φοιτητές παρεμβαίνουν στο Βυζαντινό Μουσείο’, ILISSIA 4, pp. 34-41. Γκαζή Α., 2011, «Ο κύριος Σλήμαν δεν είναι εδώ», Μια νεανική ματιά στο Ιλίου Μέλαθρον, Μουσειολογία, 6, http://museology.ct.aegean.gr/articles/201110417514.pdf. King L./Marstine J., 2006, «The university museum and gallery: A site for institutional critique and a focus of the curriculum», in J. Marstine (ed. ), New Museum Theory and Practice: An Introduction, Blackwell, Malden MA, pp. 266-291. Lubar S., 2009, Forty students, one semester: an exhibition challenge, Exhibitionist 28/2, pp. 76-80. Marstine J., 2007, What a mess! Claiming a space for undergraduate student experimentation in the university museum, Museum Management and Curatorship 22/3, pp. 303-315.